It might be surprising to learn, but each year many people in El Cajon are impacted by one of a number of different types of personal injury accidents. If you or a loved one has suffered injuries in a car accident, truck accident, motorcycle accident, slip and fall, dog attack, or any other type of accident, you should not hesitate to obtain the assistance of an experienced personal injury attorney in El Cajon. When accidents involve sudden or forceful blows to the head, there is a potential for traumatic brain injuries as well as other types of life-changing injuries to occur. Brain injuries often result from motor vehicle accidents, especially those involving larger vehicles like semi trucks. An experienced accident attorney in El Cajon understands the complex nature of these injuries and the recovery process involved, and can help to fight for the compensation that you deserve. When car accidents occur, motor vehicle drivers and passengers are insulated from damage by the steel frame of the vehicle that surround them. When bicyclists are involved in accidents with motor vehicles, however, they are not provided with this type of protection. The resulting injuries can be devastating. A skilled bicycle accident attorney can help victims obtain the much-needed compensation they require to cover their medical bills, lost wages, and pain and suffering. Car accidents occur every day in California and have the potential to leave accident victims facing life-changing injuries and other life complications. An experienced car accident attorney can help you pursue the compensation that you deserve from those responsible for your injuries. While many dogs are friendly, some dogs have the potential to attack or bite people without provocation. The victims of dog attacks can suffer debilitating injuries and can endure significant scars and emotional trauma long after the incident. In these situations, an experienced dog bite attorney can help you pursue compensation from the owner of the dog that attacked you. Elder abuse can take on a number of different forms including financial exploitation, physical abuse, or emotional abuse. Elder abuse can be particularly devastating because the elderly community is so vulnerable to it. If someone you love is being abused by those in charge of his or her care, an experienced attorney can help you fight to hold the at-fault parties responsible. It can be fun to ride around El Cajon on an electric scooter, but it can also be extremely dangerous. When e-scooter accidents occur, the resulting injuries are often extremely serious because the scooters do not provide adequate protection. If you or a loved one has been impacted by an electric scooter accident, you should not hesitate to speak with an experienced personal injury attorney today. Riding a motorcycle can be a unique and wonderful experience, but when motorcycle accidents occur, the results can be deadly. It is hard for motor vehicle drivers to see motorcyclists on the road, and motorcyclists are also more vulnerable to inclement weather conditions and road debris. An experienced personal injury lawyer in El Cajon can help you obtain the compensation you require after being injured in a motorcycle accident. 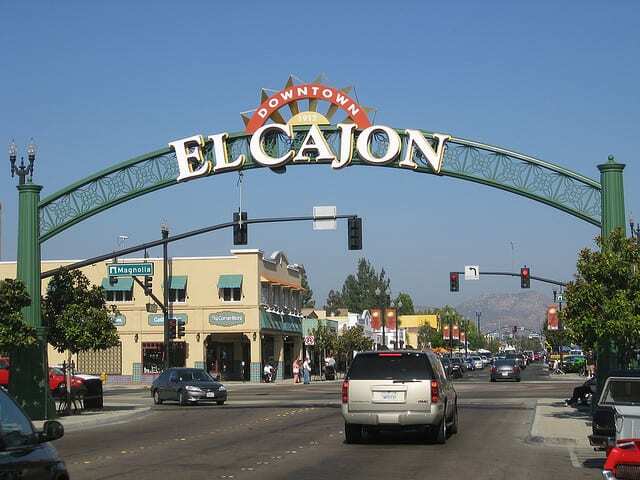 Many people in El Cajon depend on walking to get from place to place. Unfortunately, each year many pedestrians are struck by motorists who can not see them. If you or a loved one has been hit by a vehicle while out for a walk, an personal injury accident attorney can help you fight for the compensation you need to recover. Consumers trust the products they purchase and use to work safely. Unfortunately, this is not always the reality. When trusted products fail to work properly, and injuries result, accident victims can race steep medical bills, lost wages, and pain and suffering. A product liability lawyer in El Cajon can help you obtain compensation for your injuries from the parties responsible for the defective product. Serious accidents can lead to spinal cord injuries, which often change a victim’s life forever. A spinal cord injury can leave a person with hundreds of thousands of dollars in medical bills and the inability to return to work or even carry out daily tasks. In these situations, a seasoned attorney will fight for the often substantial compensation to which you are entitled. When truck accidents happen, the resulting damage can be substantial. No matter if you have been impacted by a jackknife, rollover, or any other type of truck accident, it is often in your best interest to obtain the assistance of a skilled attorney to help you pursue compensation from the truck driver, the trucking company, or even third-party contractors. Even though rideshare companies are supposed to adequately screen their drivers, they do not always do so. As a result, a large number of rideshare accidents occur each year. If you have been injured while in a rideshare vehicle, you have options. An experienced rideshare injury lawyer in El Cajon can help. No matter how an accident occurs, there is always a potential that death might result. If your loved one was killed in an accident, an experienced wrongful death attorney understands just how devastating this can be and will remain committed to fighting for the compensation you deserve. If you or a loved one is harmed in an accident, you can suddenly experience a number of complications including lost wages, mounting medical bills, and pain and suffering. Reach out to a knowledgeable personal injury lawyer in El Cajon today for your free case evaluation.